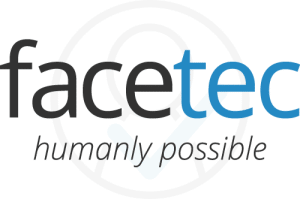 FaceTec provides certified, class-leading biometric authentication solutions for mobile and web applications requiring certified, high-performance liveness detection. Leveraging decades of computer vision, artificial intelligence and advanced biometrics experience, FaceTec created a new standard in face biometrics, ZoOm 3D Face Login. The only unphishable and unshareable biometric modality, ZoOm is ideal for onboarding and virtually any identity and access management requirement. Founded in 2013 with offices in San Diego, CA; New York, NY; London, UK; and Summerlin, NV, FaceTec provides biometric security on five continents for some of the world’s leading organizations in ID and access management, financial services, mobile payments, border security, connected transportation and more. ZoOm is the first – and only – face biometric authenticator to attain Level 1 and Level 2 certifications in the NIST/NVLAP-certified iBeta Presentation Attack Detection (PAD) test guided by the ISO-30107 global standard, achieving perfect 100% anti-spoofing scores. ZoOm’s advanced AI technology accurately matches face images while concurrently verifying three-dimensionality and detecting dozens of human liveness traits with a fast, friendly and intuitive user interface. Cross-platform and cross-device compatible, ZoOm works on all modern smart mobile devices and webcams, and has become the first viable universal biometric replacement for passwords. Developers can download the ZoOm demo app directly from ZoOmLogin.com for iOS, Android and any webcam-enabled browser, and the ZoOm developer SDKs are available free at Dev.ZoOmLogin.com/ZoOmSDK, with plugins available for Xamarin, Appcelerator/Titanium, Phonegap, Cordova, Ionic and React Native. The ZoOm SDK is free for all educational and nonprofit organizations globally. For more information and business inquiries, please visit www.ZoOmLogin.com. For media inquiries, please contact John Wojewidka at JohnW@FaceTec.com.